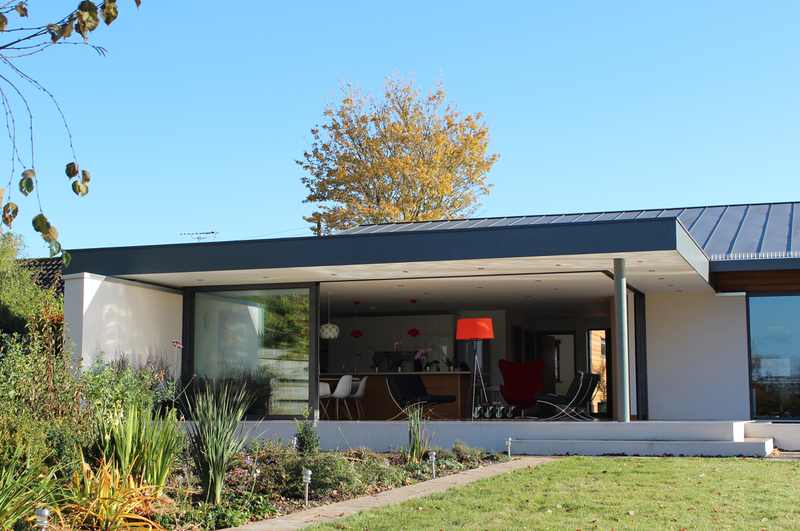 A 1970s bungalow in Redgrave has been given a serious make-over by Lucas Hickman Smith. The existing house is located within the village Conservation Area, but its neighbours are all mid to late C20th houses in a similar modern style. 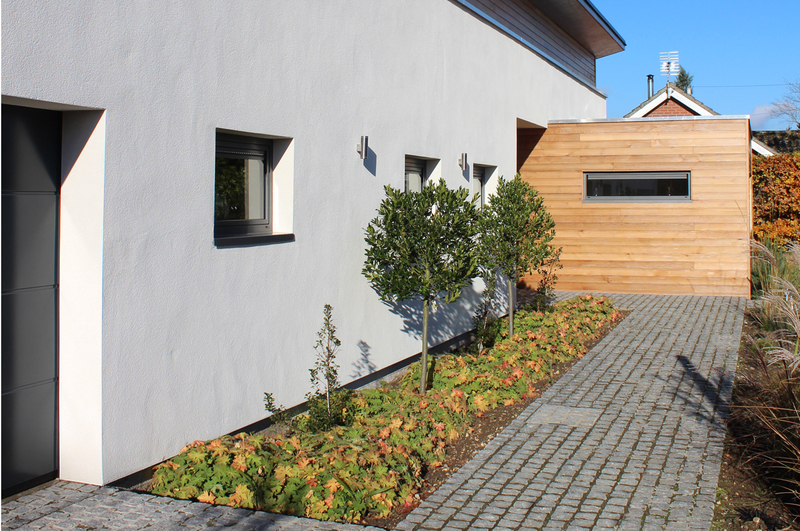 The owner wanted to give the house a bold new contemporary appearance, as well as improving its environmental performance. 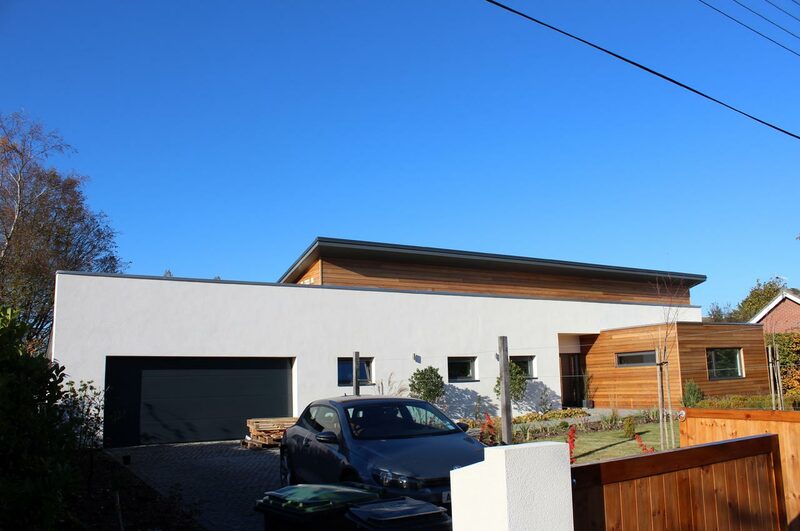 A rendered screen-wall unites the house and garage, and is softened by areas of warm timber cladding to a new mono-pitched roof and the protruding bedroom ‘pod’, which emphasises the main entrance. 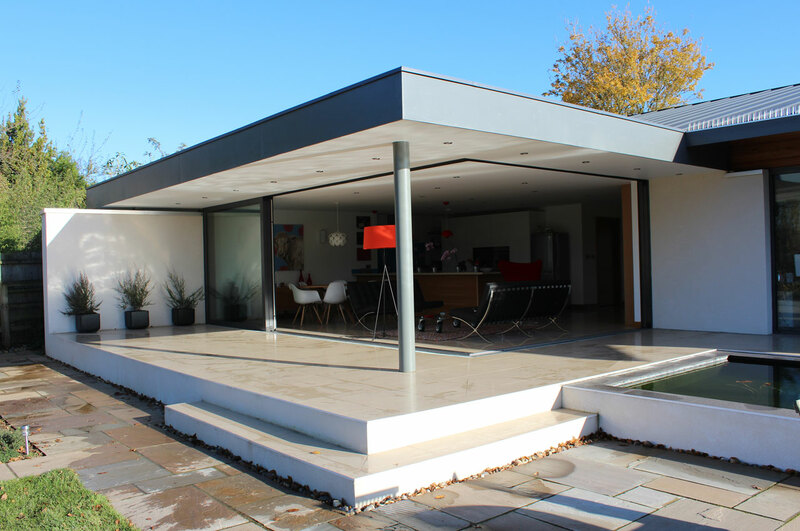 To the rear the re-modelling is even more radical, with the open-plan living spaces opening up to the garden through folding-sliding doors and shaded from the sun by a large over-hanging flat roof. 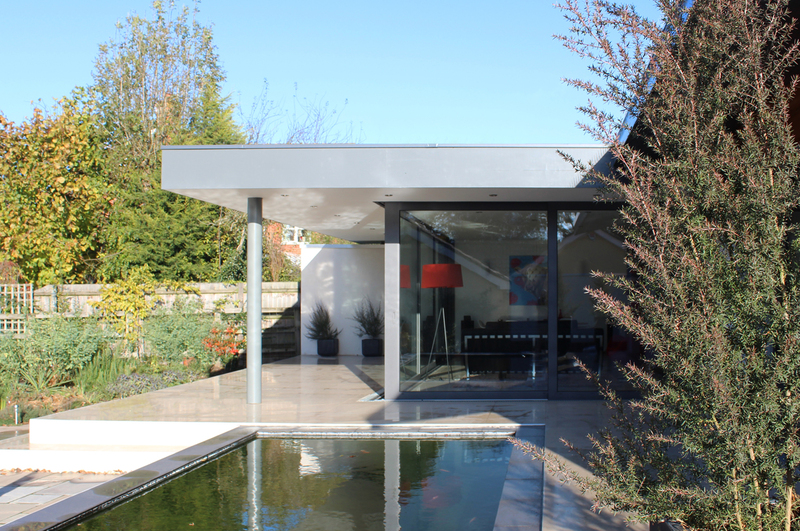 An ornamental pool reflects dappled light into the house. 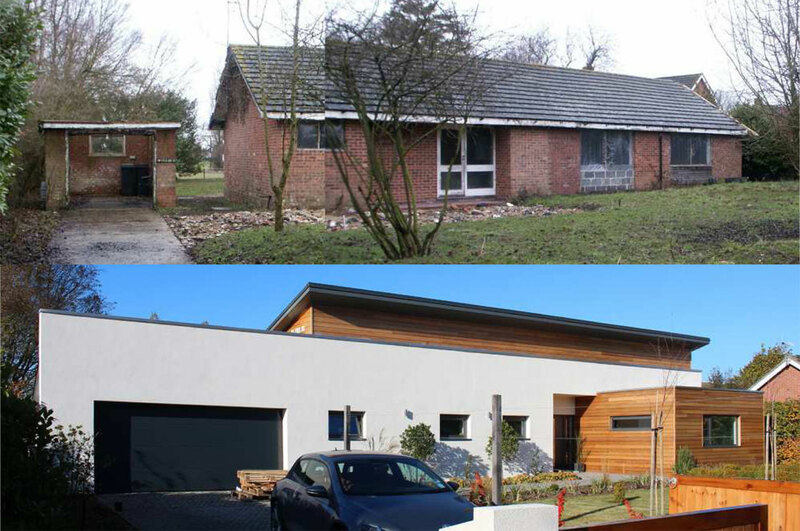 Despite the radical transformation, much of the existing house has been retained to reduce unnecessary waste and expense, with the overall thermal performance improved through new external and cavity insulation. The walls are finished with a lime based render which is a much more sustainable option compared to modern cement based renders. Other environmental features include low water-usage sanitary-ware, low-energy lighting and appliances and a ground-source heat-pump to run the under-floor heating.